Potable water is the most valuable resource on the planet. Delaware Engineering, D.P.C. is engaged in all aspects of the provision of potable water from source water development to treatment, storage and distribution. 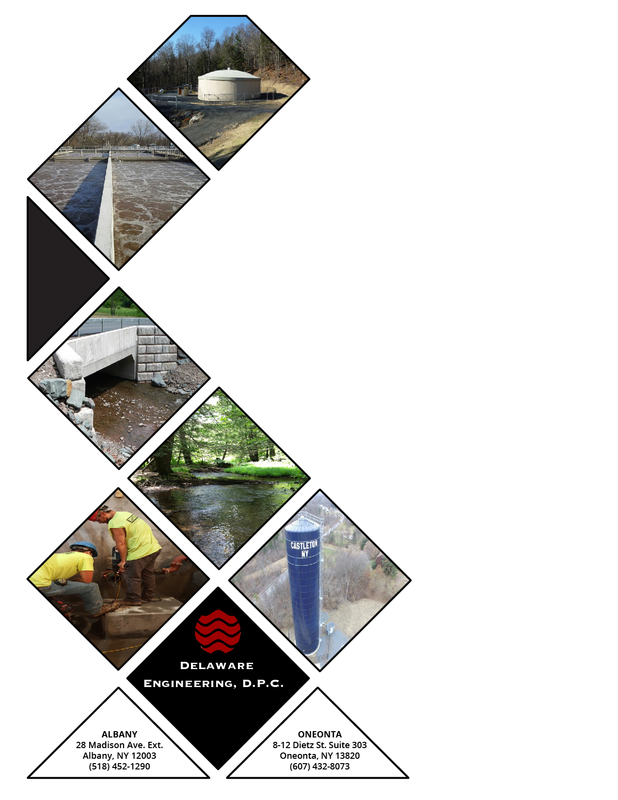 Whether surface or ground water for municipal or industrial use, Delaware Engineering has the expertise to conduct testing and permitting, design and bid assistance, and construction oversight and start up processes. Importantly, Delaware Engineering is highly skilled and successful in securing grants and low cost financing for water projects through federal, state and regional entities to support public health and economic development initiatives. 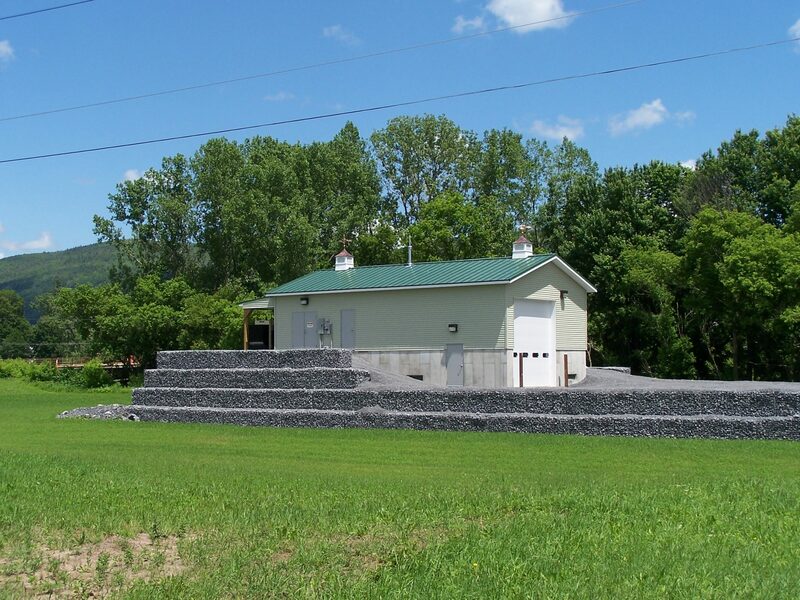 In order to comply with new surface-water treatment standards, the City of Norwich needed to replace and decommission its more than 100-year-old pressure filter water treatment plant located more than a mile from the existing reservoirs. 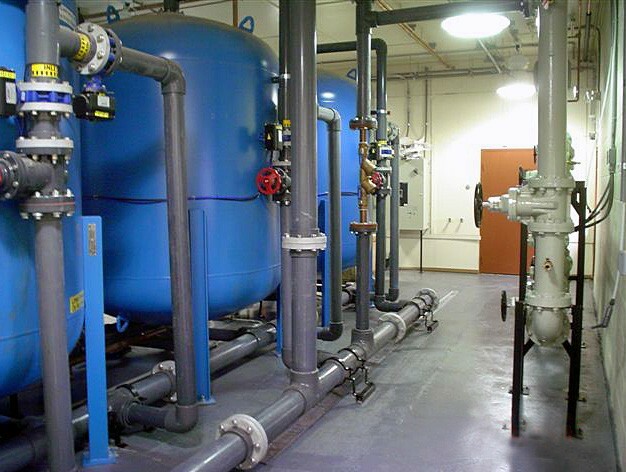 Delaware Engineering provided planning, a six-month micro-filtration pilot study, design, construction administration and on-site inspection services for a four prime contract project to construct a new 1.2 MGD Water Treatment Plant. The new 52’x90’ pre-engineered steel building houses the below-slab tanks, vertical turbine pump systems for feed and backwash pumps, Pall Micro-filtration system, chemical feed systems, laboratory, and an inclined plate settling system to treat the filter backwash waste. Sludge from the plate settlers flows to a sludge storage tank, and the City then transports the waste solids to the City WWTP for disposal. Treated waste flows to a post-aeration tank for final D.O. treatment. The new plant design includes electrical capacity and reserve area for future UV disinfection if required. The City blends the treated reservoir water with well water on a daily basis to maintain a moderate hardness level. Delaware assisted the City with obtaining USDA-RD funding procurement, to obtain a $1 million grant and $4 million low-interest loan. Delaware Engineering began working with the Village of Monroe in 2007 to plan and implement a series of improvements to their water supply and distribution system. Significant residential and commercial growth in the Village had taxed the limits of the water supply on peak days in the summer, and frequent repairs of 100-year-old piping was becoming unaffordable. To address these problems, DE prepared a Water Master Plan to provide a framework within which the Village of Monroe could plan, fund and execute maintenance of existing water system infrastructure; extend the useful life of existing equipment; provide safe and adequate service to all customers; ensure that peak flows could be achieved; and consider the potential to sell increased volumes of water to neighboring communities. Mapping of the water distribution system, and inventory of pipe sizes, age and condition. Hydrologic evaluation of the supply capacity of the Lake water supply to determine whether additional capacity was available. Testing, permitting and development of a new water supply well. Repairs to the transmission main between the Lake supply and the plant. Construction of a new one-million-gallon tank and booster pump station with fire flow capacity. Upgrade of SCADA based plant process controls; stand-by generator systems and electrical upgrades. Replacement of the most aged water mains. Construction of these improvements was carried out from 2012 to 2015. 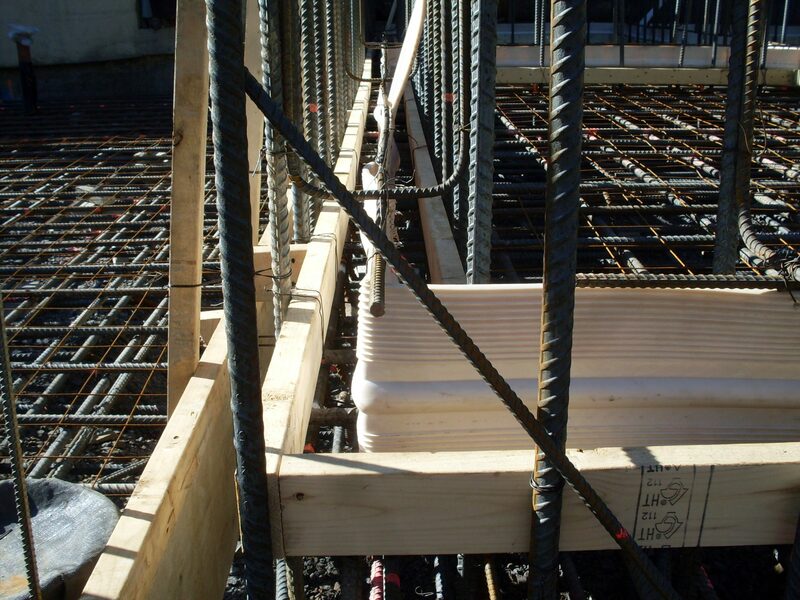 Delaware Engineering worked with the Town of Windham for over a decade to make improvements to the Town’s public water supply, treatment and distribution systems. 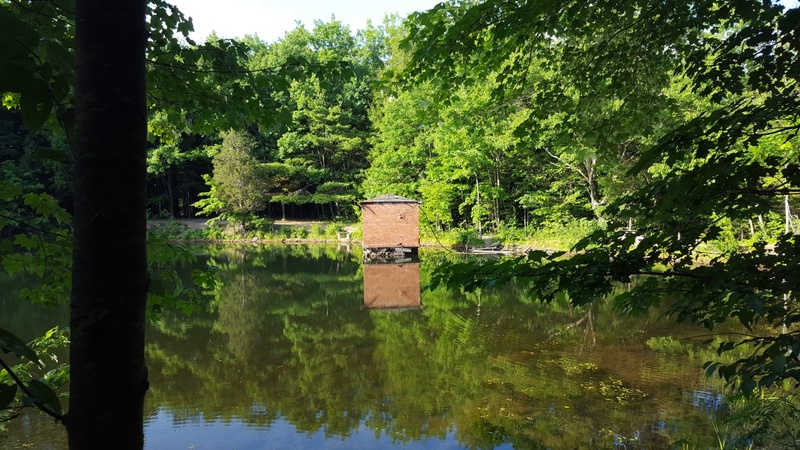 As part of these ongoing improvement projects, Delaware upgraded and rehabilitated the Town’s reservoir and water supply wells and installed improved disinfection systems and a new automated telemetry system. The main 200,000 gallon reservoir was restored with a new concrete floor, sealed laid-stone walls and gunnite lining. 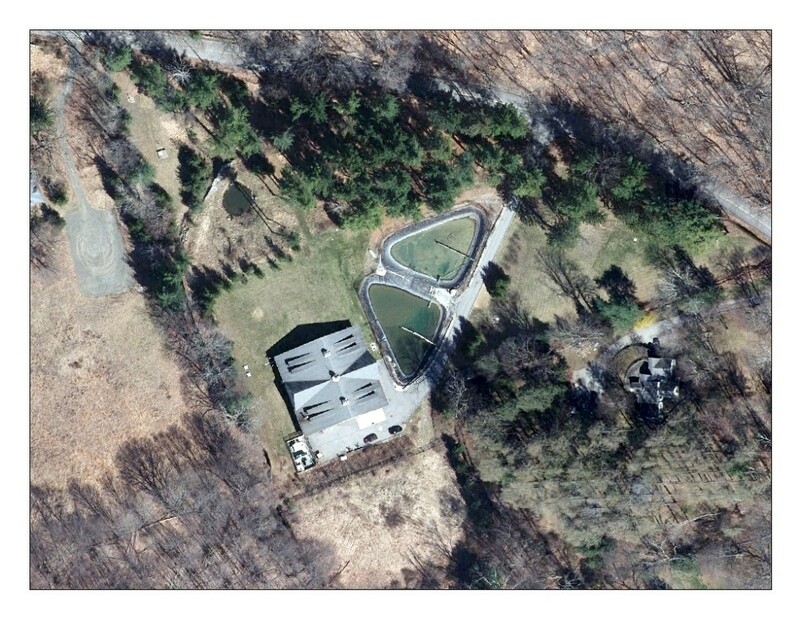 The existing well house was replaced and the chlorine and control structure was enlarged and upgraded. New piping and valves were installed to connect the reservoir storage tank to the new water main on Mill Street. The wellhouse at the bus garage site was also replaced with a new structure featuring an improved chemical feed system. Telemetry and automatic controls were installed across the entire system; the main radio control unit was installed at the bus garage to monitor levels, flows, pump status, etc. Delaware provided planning, permitting, funding procurement/admin, design and construction management services for the project which was partially funded by a $400,000 CDBG grant. 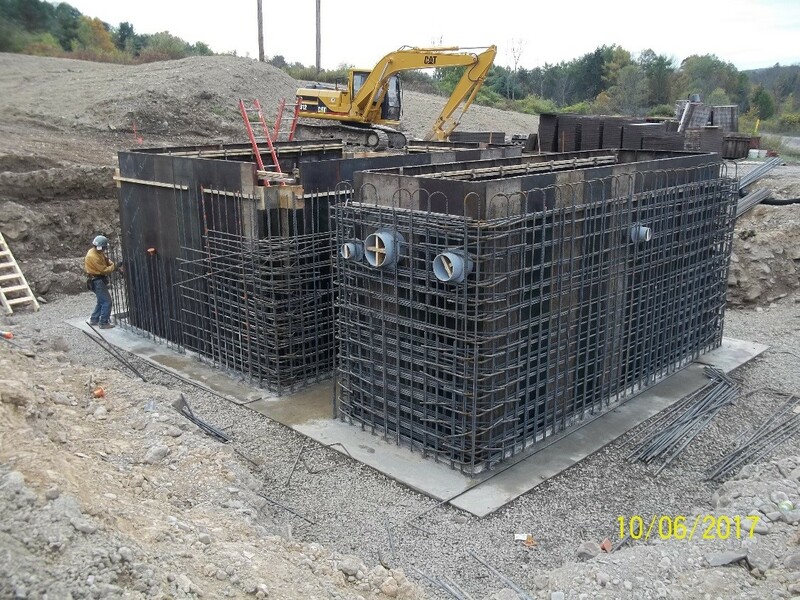 The reservoir and well improvements were a component of a larger distribution system project that involved the replacement and extension of 5.2 miles of water main. 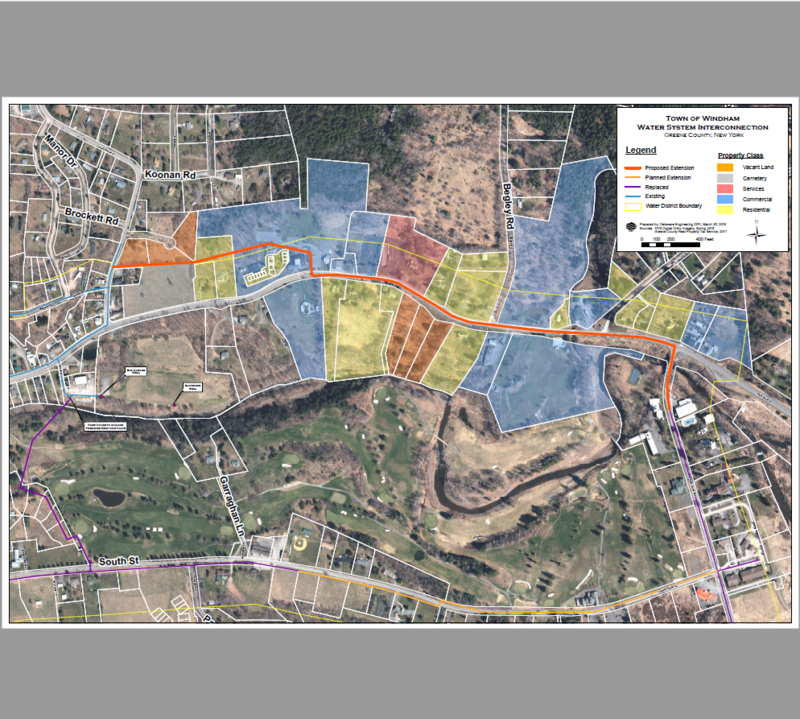 DWSRF co-funding of $474,000 was used to replace water lines concurrent with installation of sewer lines, and a NYSDOT reverse betterment project funded drainage and streetscape improvements. 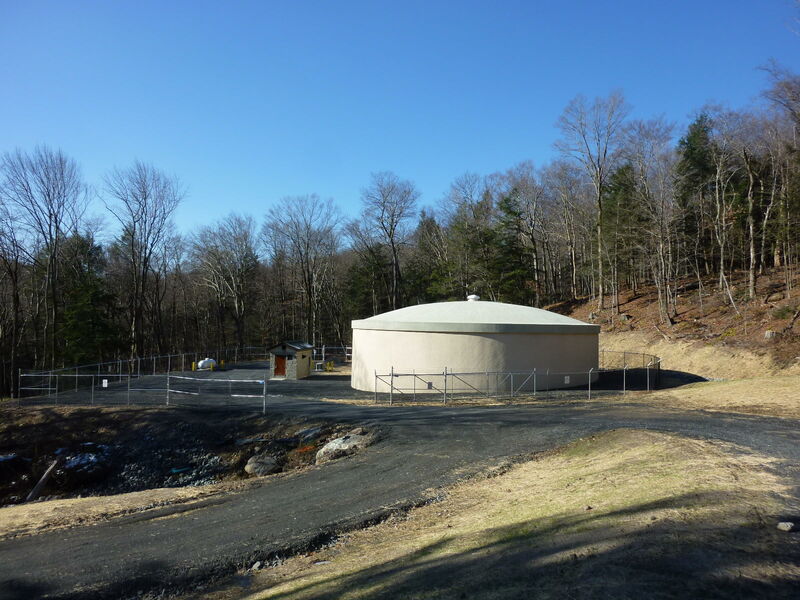 In order to increase capacity during periods of peak demand and to provide the required redundancy, Delaware Engineering recently interconnected the Ski Windham water system with the Town of Windham water system. A radio telemetry system links both systems and provides communication and control. Delaware provided complete planning, permitting, funding procurement and administration, design and construction management services for the water system consolidation project which was completed in 2015. In 2015, the Town entered into agreements private developers to extend its water south of the existing service area to accommodate new developments. 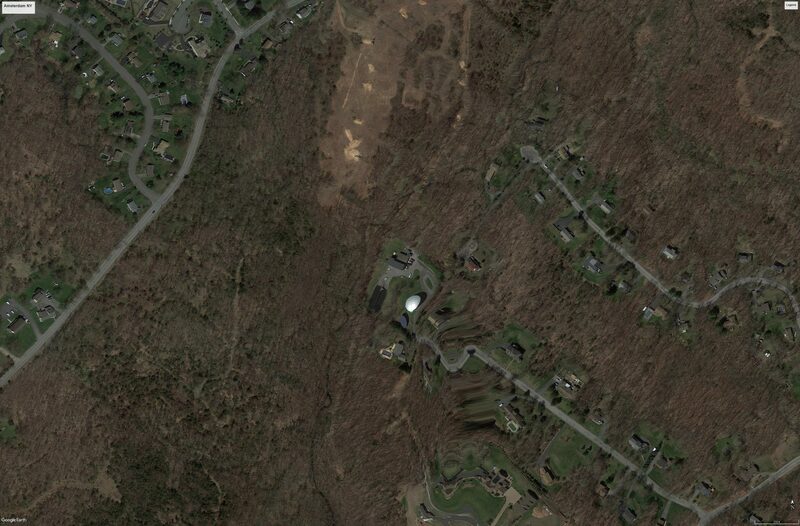 The developers then extended water and turned over the infrastructure to the Town. The extensions provided redundant supplies to the Town and Ski Windham. The extension also opened up properties for development which had been held back for years due to the lack of adequate water supplies.